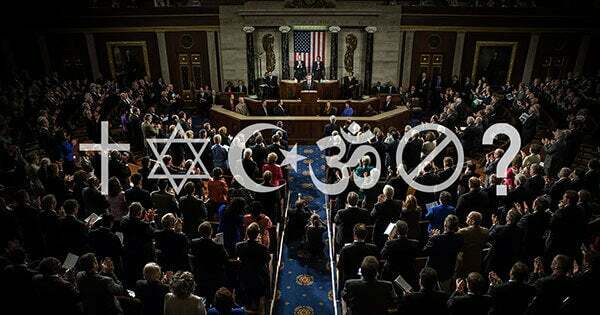 How Religious is Your Congress? And because 2019 is going to be a landmark year, there are likely to be many decisions that will impact the freedom to live out your faith – and that means that we’ll likely see religious freedom victories not only in the courtroom, but also, hopefully, from the halls of our legislative branch. Are you still scratching your head about what’s happening in Capitol Hill on religious freedom? Here’s a quick recap to refresh your memory. 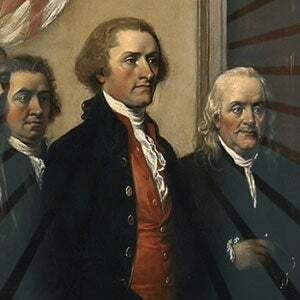 For one, there’s a bill pending in the U.S. House that could decide the fate of the Religious Freedom Restoration Act (RFRA), a law that for 25 years has served as a bulwark to protect your right to freely live according to your religious beliefs. Secondly, you’ll want to keep an eye on the U.S. Senate when it comes to President Trump’s judicial nominees – who, so far, have had stellar records defending religious liberty. And this is all the more urgent now, because there are more federal judicial vacancies to fill than when President Trump took office. Looking at all the work that Congress has on its plate, we know that you may be tempted to think that it’s just going to be more of the same: gridlock and mudslinging. Congress predominantly identifies as Christian – but there are slight shifts. Overall, 88% of Congressional members identify as Christian. But a deeper look at the numbers shows that fewer members of Congress are denominational Christian Protestants, while more are selecting unspecified/other Protestant. For example, Presbyterian and Anglican/Episcopalian affiliations each dropped by nine members this past election cycle! Differences between incoming freshman class and incumbents. Comparing the incumbents with the newly-elected members, there are fewer Christians. Ninety percent of the incumbents identify as Christians, but the number is slightly lower (81%) among the new incoming members. The number of minority faiths represented in Congress continues to increase. The number of members who identify with a religion that’s not Christianity continues to increase. Or to put it simply, minority faith representation in Congress is growing. The second highest affiliation is Judaism (6%), followed by a handful of Buddhists, Muslims, and Hindus – who add up to just under 2%. The biggest difference between Congress and the American public is in regards to those who are unaffiliated with a religious group. Data shows that 23% of Americans identified as atheist, agnostic or simply stated “nothing in particular.” However, when you compare that number to Congress, just one member states that they are unaffiliated to a particular religious group. What about your elected representatives? Looking at the numbers and trends above should spark a hint of curiosity. After all, if we’re just plain honest, many of us have always wanted to know how our U.S. Representatives or Senators identify when it comes to religious beliefs, or to which denomination or religious group they belong.